The LeFun C2 720P Wi-Fi camera earned a 3rd place rank in our video monitor review. This Wi-Fi connected camera offers high quality images, plenty of features, and works wherever there is internet access. This camera requires you to have your own device to use as a parent unit, and an unlimited number of people can watch the video feed at the same time. The relatively inexpensive price, which is less than half the cost of other Wi-Fi options in this review, and nice images make it a great choice for parents on a budget, which is why it earned a Best Value award for Wi-Fi monitors. This monitor is harder to use than the other Wi-Fi choices we tested, and we experienced some delay in the video that lasted anywhere between a few seconds and several minutes, but given the savings we think most parents will accept its potential flaws. The LeFun comes with the camera and a stand that can be used for wall mounting. This Wifi unit requires parents to provide their own parent device for viewing baby. But the Wi-Fi connection may be the only option for houses with issues related to range. LeFun was founded in 2010 with a focus on providing the most up to date wearables worldwide. Their goal is to provide the latest in quality electronic products with a low price. They believe that when designers and engineers come together they can create functional products that can provide the quality and functionality LeFun envisions. Only purchase where you can return it, in case your Wi-Fi is not fast enough. Test the monitor immediately to ensure sufficient bandwidth. Even though you stream movies, you may have trouble as video monitors upload and download using more bandwidth than everyday streaming. 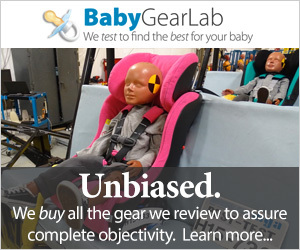 Our recommendation is you use a dedicated device for monitoring baby. We do not recommend using your phone so you are always able to monitor without interruption. Parents must change the default password when you set up the monitor! Using the default password leaves your monitor open to strangers hacking in and looking at baby. Down below, the comparison chart presents the video monitors we tested ranked according to the overall scores. The LeFun C2 720P Wi-Fi (shown in blue) earned a 3rd place rank, and is the lowest scoring Wi-Fi monitor in the review. However, it did score better than all of the dedicated options. Its overall rank, and budget friendly price helped secure it a Best Value award for Wi-Fi monitors. The subsections below will detail our test results point-by-point and offer more information on how the LeFun performed in each metric. Test scores for each metric are combined to generate the monitors overall score and rank. The LeFun earned a 10 of 10 for range, which is the highest score for the range metric and equal to all the Wifi options. This camera can be accessed from anywhere with an Internet connection or via a smartphone or tablet with a data plan. This can make a Wi-Fi option a good choice for larger homes or homes where the range of a dedicated monitor (4-5 walls) may not work. The LeFun can be viewed on a variety of devices for use as your parent unit. We recommend using a device that is not your primary phone. The LeFun earned a 4 of 10 for sound, this is the same score earned by all of the Wi-Fi options we tested. This camera has a sound activation feature and adjustable sensitivity. The sensitivity doesn't work that well compared to the competition, and we were able to hear a white noise admitter in our test room no matter what the setting. The sound is bright with a little static and breaks with no sound. It has some echo, and during testing the camera itself emitted several loud beeps that did not stop until we closed the application on our device and reopened it. This would be very unfortunate if it happened to poor baby in the middle of the night. The LeFun daytime images are very nice and the smaller details are easy to distinguish, including baby's facial features and the eye chart in the crib. The LeFun earned a 9 of 10 for image quality, which does depend on what device you use for viewing, but is mostly impacted by the camera and the quality of the images it transmits. The LeFun daytime images have okay color with a little image distortion. The images themselves are fairly clear, but can't compete with the Nest Cam Indoor Wi-Fi or the iBaby M6S Wi-Fi. Night vision on the LeFun are also nice with bright images. While the details on the crib sheet are now washed out, baby's eyes are visible and can be clearly seen. Night images are even better than the daylight video, with bright video that offers enough detail to see baby's face, but aren't as crisp and clear as the Nest Cam Indoor Wi-Fi. The camera for the LeFun is only 720P compared to the Nest Cam's 1080, which is the primary reason for the difference in image quality. The LeFun is harder to setup and use than the competing Wi-Fi monitors we tested. While not inherently difficult, it isn't as easy as it could be. The LeFun earned a 6 of 10 for ease of use, which is the lowest for the metric for the Wi-Fi monitors, and the second lowest score for the metric overall. This monitor requires an account to be setup and connection of a parent device using an account. The setup process for this monitor was more convoluted than the other Wi-Fi options and far more involved than the plug and play dedicated monitors. During testing we had to download the app, create an account, scan the QR square on the bottom of the camera and then follow the steps to set up on the device. The process is not as intuitive as the competition, and it was very lengthy and not something you will be able to do quickly before bedtime. We also experienced a time delay in what was happening in the room compared to when we saw or heard it on our device. The delay time varied and was somewhat unpredictable. The lag time ranged between 1-7 seconds and 1-2 minutes or longer. The delay is worse if you are using the pan and zoom features, and the delay is so significant you might wonder if the feature is even working. This led to us moving the camera more than we intended to because the pan did not correlate to our actions in real time. The features of the LeFun can be accessed via a menu that is fairly easy to learn, with commonly used features being easy to find and adjust. The app has common buttons on screen and the settings are pretty easy to get to. We had to update the camera software about a week after setup and we had to restart the camera once the update was complete. You can use this camera with smartphones, tablets (Apple or Android) or a computer. We think the computer interface is easier to use and more intuitive. The Le Fun earned a 10 of 10 for battery life, which is the same as the other Wi-Fi monitors. Wi-Fi monitors use your personal device as the parent or viewing unit. This means the battery life for these monitors is dependent on the device you are using and what other things are running on the device at the same time. However, given that the longest battery life of the dedicated monitors is about 12.75 hours, we feel that most smartphones or tablets will likely last longer if only used for monitoring baby. The LeFun is one of the few monitors that offered incredible detailed images that improved with the zoom feature. You can clearly see the elephants on the crib sheet and baby's facial expressions, which can come in handy if you need to see if baby is truly awake or just grumbling in her sleep. The LeFun earned an 8 of 10 for features. This is the second highest score for this metric, with only the iBaby M6S Wi-Fi earning a higher score of 9. The manufacturer doesn't say how many cameras you can connect at the same time, but an unlimited number of people can monitor baby from various devices simultaneously. The camera for this monitor has several interesting features, but it is not specifically designed with baby in mind, similar to the Nest Cam Indoor Wi-Fi, and unlike the iBaby M6S Wi-Fi, that has features specific for baby. This monitor has no sensors for temperature or air quality and the screen will not automatically wake up if sound or motion is detected. The LeFun camera has an average EMF reading of 0.84 with the reader about 6ft from the camera and the camera connected to the internet using an Ethernet cable. On average the EMF readings for this camera increased as we moved the reader further from the camera. We did not test for the EMF emissions from the parent unit as this will change depending on the device you plan to use. However, whatever device you choose to use, your EMF exposure will decrease the further away from the device you get. "SECURITY & TECHNICAL SUPPORT: Financial level Encryption Technology, make you connect to any devices, via a secure, safe network. All security cameras have CE, FCC and RoHS certified." In addition, they recommend (as do we) that you change the password on your device as soon as you set it up. This camera is similar to the LeFun C2 Wi-Fi, but the camera itself offers full HD 1080P image resolution, as opposed to the C2 720P. We wonder if this camera would offer video images that are even more impressive than those we experienced with the C2 720P. Given that the C2 earned a 9 for image quality, that would be a really cool thing. This camera offers the same features as the C2 with the addition of smartphone alerts/snapshots and what the company calls "Intelligent Motion Alerts". With an average of only $10 more over the list price of the C2, the LeFun 1080P might be an even more impressive option. Amazon $29.85 - 57% off!